Klaus Hurrelmann explains the project aimed at “patient-centred” reforms in Germany. As part of its initiative "Restart: A health care reform workshop" (Neustart), the Robert Bosch Foundation will fund a professorship in health governance at the Hertie School to contribute academic research to policymaking. The aim is to achieve a more sustainable healthcare system, as called for in the UN’s Sustainable Development Goals. Focusing on “patient-centred care”, the project will include a series of "Think Labs" at the Hertie School - workshops with a select group of experts from all areas of the healthcare field, aimed at bringing together academic research and practice-oriented ideas for reforming Germany’s healthcare system. Participation in the Think Labs is by personal invitation only. 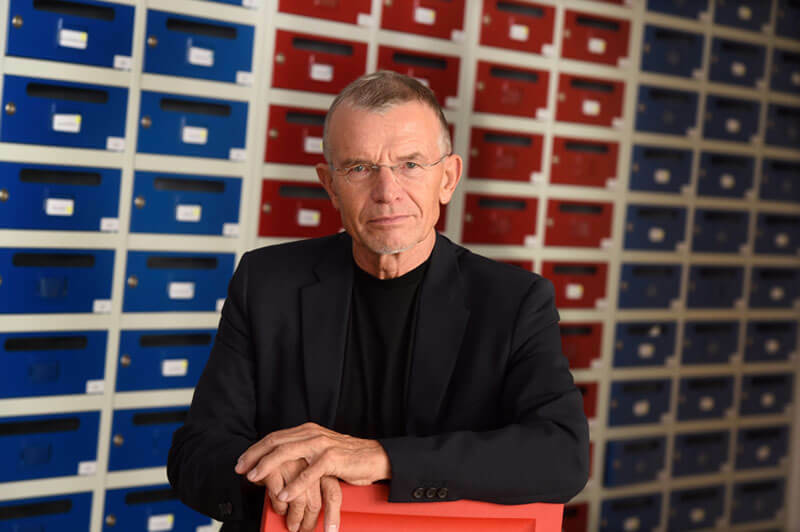 The Professor of Health Governance is scheduled to join the Hertie School in the spring semester 2019, while the first Think Lab workshop will take place on 6 and 7 December, led by Professor of Public Health and Education Klaus Hurrelmann, who is currently supervising the project until the new professorship is established. Each Think Lab will bring together 15 to 20 experts to discuss a particular topic. The results will be published as briefs by the Robert Bosch Foundation for distribution to the general public and as policy papers for experts by the Hertie School of Governance. What are the main issues you will address in the health field? Klaus Hurrelmann: The healthcare systems in all developed countries - in Europe, but also in the USA and Japan - have become very expensive. They consume huge financial resources and at the same time fail to improve healthcare a way that satisfies citizens. We will address and explore this problem in particular with a view to Germany. Our question is: can our system function better than it does now? By international comparison, the German system allows considerable room for self-determination by various occupational groups – above all physicians, but also other caregivers and services, as well as strong independence of drug makers, hospitals, care facilities, and health insurers. Such a self-organized system as ours, which is neither a state system nor a pure market system - how can that function better? What we see today is that this system breaks down in a number of areas. There is poor cooperation between the various actors, and above all, (and this is the main challenge) the people around whom the system should be built - namely the patients - have the feeling that they are merely cogs in a wheel, stuck in a complicated system where trust in partners is lost, where things are badly coordinated, and where patients have to navigate on their own to understand how things work. It seems to many people that each individual part of the healthcare system is occupied with itself, but not with its patients. And that's why we have chosen the motto: “a vision for a patient-centred healthcare system”. The goal is to make the patient the focus, and to make sure policy decisions aren’t guided by the logic of providers or insurers or various other actors in this huge healthcare system. These systems are now the largest infrastructure sector in our societies. They are therefore of enormous economic importance, not least because they employ millions and millions of people in ever-increasing numbers. So this is a very important and central area of society and therefore also of governance - and that is why our specific expertise as a school of governance is required. What is the Hertie School’s contribution to this project? Klaus Hurrelmann: What makes this project special is the expertise they bring together - the Robert Bosch Foundation, which has for decades had a major focus in the area of healthcare, and the Hertie School, which provides expertise in research and public policy. The Hertie School will provide policy research that aims to scientifically validate policy choices in the development of Germany’s healthcare system. The question here is what are the characteristics of the ideal healthcare system of the future? To explore this, the Hertie School will have a new professorship of Health Governance, with the financial support of the Bosch Foundation. The school will also participate in the creation of an experts’ report by hosting so-called Think Labs, in which experts will discuss and share experiences over the next three years. The Hertie School’s annual Governance Report in 2019, which will be on the topic of healthcare governance, is also part of the project. Will this all just focus on Germany, or is it also about Germany as a kind of role model for other countries and their systems? Klaus Hurrelmann: Ideally, yes. We will start with Germany, first with a systematic analysis and then a vision - a scenario for improving the system. At the same time, the Hertie School’s international orientation should also play a role, and this means taking a comparative perspective - looking at other, similar countries. Canada, for example, which is also a federal state with similar challenges, or perhaps Finland and the Netherlands. We will examine whether we can benefit from the approaches of other healthcare systems, but also whether parts of the German system might become a model for other countries. Tell us about the experts in the Think Labs. Klaus Hurrelmann: The experts come from all areas of the healthcare system and were selected together with the Bosch Foundation. Our aim was to find experts focused on a variety of specific areas. The group consists of around 15 people who will take part in the first round of discussions on 6 and 7 December. This group is made up of experts on Germany, but in future meetings, we hope to gradually extend invitations to some with international backgrounds. The results are delivered to whom - politicians, scientists? Klaus Hurrelmann: The Robert Bosch Foundation will use the results of these Think Labs - the policy papers that emerge from them, and incorporate these into its further activities. On the basis of these papers, the foundation will hold policy discussions - forums - where the topics are discussed with policymakers and experts who examine how they can be implemented politically. There will also be a dialogue with citizens, to hear from those who use the healthcare system – the patients – and collect their opinions and positions. So the papers will see resonance from two different perspectives – first from political actors who are responsible for organising the health system and secondly from customers of the system who depend on its ability to perform. Find out more about the project at the Hertie School here. Read about the project at the Robert Bosch Foundation here.